WonderWorks is an interactive attraction combining education and affordable, quality entertainment that is fun for all ages! 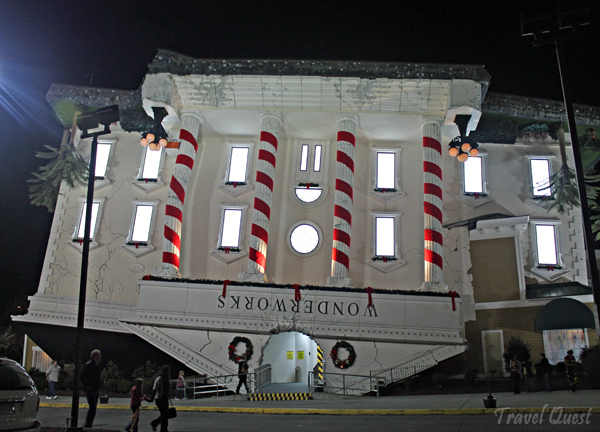 WonderWorks features over 100 hands on exhibits that will spark the imagination and challenge the mind. 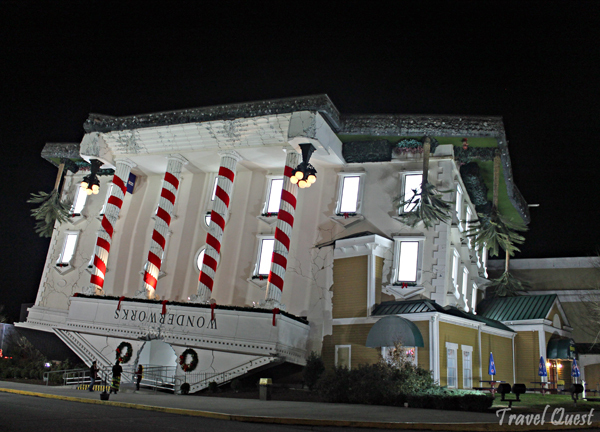 Visit the attraction at one of five fantastic locations – WonderWorks Orlando (FL), Pigeon Forge (TN), Panama City Beach (FL), Myrtle Beach (SC) and Syracuse, (NY). It is a great building design. When you enter the building, everything will be upside-down, so in order to participate in the fun, you must be inverted. Step inside the inversion tunnel and be turned right side up to begin your journey. Very good for children. Would not recommend anyone to go if you are scared of heights or get motion sickness. Price was 22 bucks for an adult. 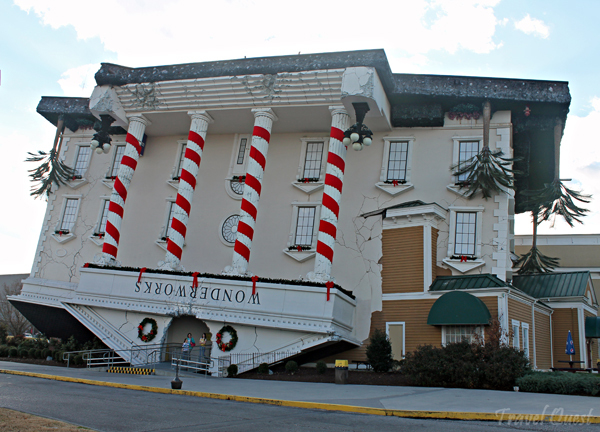 My photos of Wonderworks up-side-down building was taken in Pigeon Forge TN. Wow, that's crazy! I love it.. Thank you for sharing on Weekly Top Shot #61! Hmmm, I have not heard of Wonderworks until today. Thanks for sharing. It stokes my curiosity. Very interesting! What an amazing spectacle - and experience it would be ! Just followed u as well. Wndeworks. Always when we were in Orlando we saw that building but never visited it. Now I finally know what it is all about. Thanks. Wow Miss Leah, nakaka aliw yung architectural design nung building :) talagang upside down sya eh oh! Great shots. Hope we can visit there one day. I have been to one at Orlando,cool place! Supercool! Pero kailangan i invert ka talaga? hehe! Advance Merry Christmas pala baka di na ako makabati at busy na sa mga susunod na araw! amazing! hope we can travel, this would be a great adventure for my daughter. merry xmas here from the PH! it really capture ones eye...kalowka lang! ang bongga! seriously? This building just landed and was turned up side down straight from bermuda triangle? That is a wonder indeed. Interesting! That's a really interesting fact. I enjoyed reading your blog and awarding you a Liebster Blog Award! Wow, sobrang creative nun nakaisip neto, ang galing, amazed ako. Dito sa Manila meron ding resto na upside down yung peg, pero this one is far more parang tunay, haha.. Thanks for sharing! Oh my gosh, I got dizzy looking at the photos lol but it is so unique and interesting! I love the posts! They look like candy canes! LOL Thanks for sharing the beautiful photos :) Unique ang concept! What a wonder it must have been to be able to visit that place! That's a very unique and beautiful masterpiece. Hands down to the brains behind Wonderworks. They absolutely did wonders!